We were seeing in the new year with a selection of traybakes for January's Love Cake. You can see the round up here. 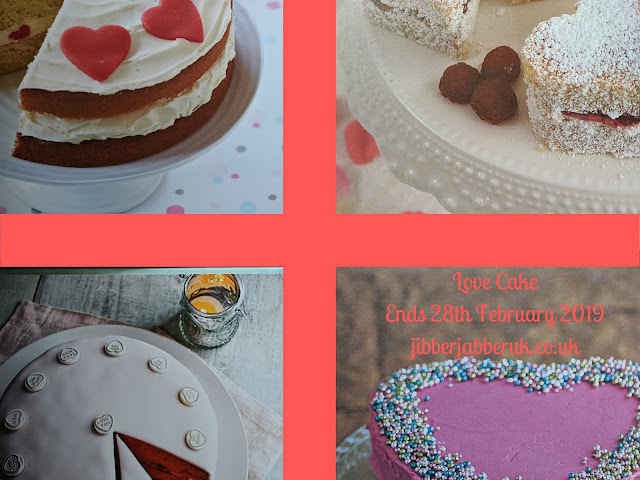 February always welcomes the birthday of Love Cake and with five years past any form of celebration cakes would be nice. With romance in mind St. Valentine's Day falls on the 14th so get out those heart tins and cutters out. We also see in the Chinese Year of he Pig on the 6th. You should start seeing Yorkshire forced rhubarb this month as well as blood oranges, pomegranates and pink grapefruit. As ever there is no overall theme so bake what you like and share it. 2. Enter the URL (web address) of your post into the Linky at the bottom of this post. Once the link closes on Thursday 28th February 2019 at 23:55 no more entries will be accepted.